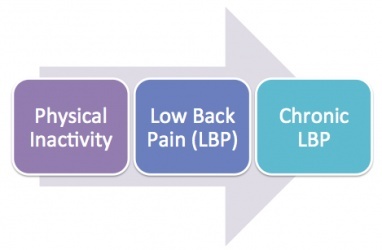 The aim of this page is to investigate the relationship of how physical inactivity can cause low back pain (LBP) and provide an up-to-date evidence overview for health professionals and the general public to help in understanding this potential relationship. 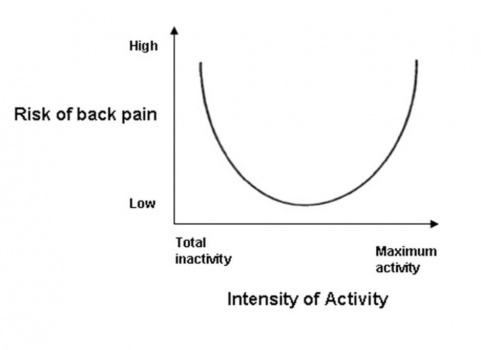 This page will review the current literature for and against the link between inactivity and low back pain. According to the 2009 NICE Guideline, the lower back can be defined as the area between the 12th ribs and the buttock creases. "Non-specific" low back pain is defined as low back pain not attributable to a recognisable, known specific pathology (e.g. infection, tumour, osteoporosis, fracture, structural deformity, inflammatory disorder, radicular syndrome, or cauda equina syndrome). “Physical activity is defined as any bodily movement produced by skeletal muscles that results in energy expenditure.” Physical activity includes activities of daily living, such as walking, housework, gardening, and work-related activities. When an individual does not meet the recommended level of physical activity, he or she will be classified as physically inactive. The World Health Organisation (WHO) has classified physical inactivity into two levels. Level 2 exposure (insufficiently active): an individual does physical activity less than 150 minutes of moderate-intensity or 60 minutes of vigorous-intensity physical activity in all activities of daily living. The current levels of physical inactivity are partly due to insufficient participation in physical activity during leisure time and an increase in sedentary behaviour during occupational and domestic activities. National guidelines classify people as sedentary when an individual does less than 30 minutes of moderate activity on all or most days of the week. 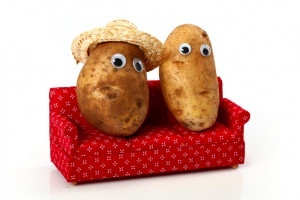 Sedentary behaviour describes activities that do not increase energy expenditure significantly above the resting level. It includes activities such as sleeping, lying, watching television ,and other types of screen-based entertainment. However, light physical activity is often mistaken as sedentary behaviour, such as slow walking, sitting, writing, and cooking, but these do require energy expenditure above the resting level. The outcome indicator should be chosen according to how well it measures the objectives of the study. Other important factors in choosing an outcome measure are the level of data required, the characteristics of the individual, group or population, time frame of interest, and the available time and resources. Physical activity can be classified as a combination of frequency, intensity, and duration. Any type of activity can be different in terms of the three different aforementioned elements. A better understanding of what element or activity that a study is focused on, the easier it is to determine what outcome measure is most appropriate. Below are the options for measuring physical activity suggested in the Standard Evaluation Framework for physical activity interventions, published by the National Obesity Observatory. For more detail of each option, visit this link. Self-report approaches are the most frequently used method for measuring physical activity in a public setting due to its cost effectiveness compared to other outcome measures. However, their reliance on recalling activity can be problematic, especially for children and young people. Self report of physical activity is subject to a number of types of bias, such as recall bias, lack of compliance, and ‘social desirability’ bias. For more details of individual questionnaire, visit this link. A recent systematic review by Falck et al. 2015 evaluated the measurement tools used in interventions to increase physical activity among older adults, including both objective and subjective measures. 44 studies were included, with 32 of them using self-report measures, 9 using objective measures, and 3 using both. Among all the measures, only 57% of them had population-specific reliability and 66% had population-specific validity. A majority of the studies used self-reported measures, even though many had little evidence of validity and reliability. The researchers of the systematic review suggested that future researchers should use valid and reliable measures of physical activity with well-established evidence of psychometric properties, for instance hip-accelerometers and the community Health Activities Model Program for Seniors Physical Activity Questionnaire for older adults. 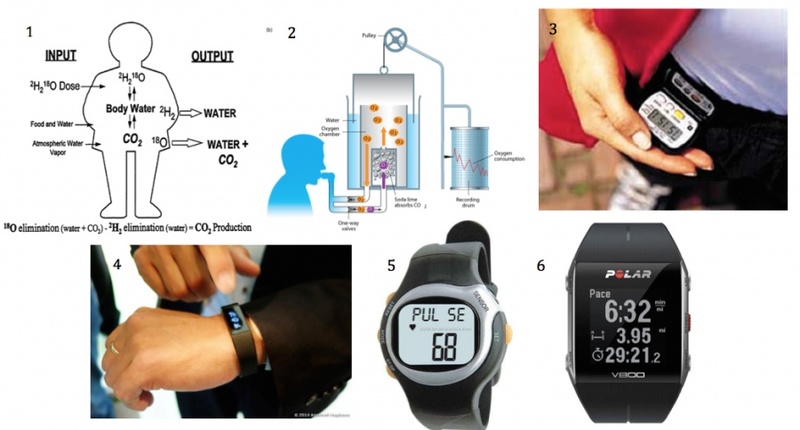 The advance in modern technology, the access to the technology for measuring physical activity, such as accelerometers and pedometers, is easier than ever, so future researchers should take opportunity to improve the quality of their studies by using better measurement tools. On the other hand, it is important to note that most of the questionnaires were not developed for use in individual or group interventions, but population surveillance. In some cases, the tools may not have been sensitive enough to measure the outcome. Furthermore, none of the tools can adequately detect change in physical activity over time, but capture more of a snapshot of a particular period of time. Body Mass Index (BMI), physiological measures, and quality of life are frequently used as secondary outcome measures for physical activity. However, these outcome measures should only be used if they are relevant to the aims of the study or researcher’s interest. Bone health is also likely to be affected in an inactive population. According to Wolff’s Law, if the loading on a bone decreases, the bone will become less dense and weaker due to the lack of the stimulus required for continued remodeling and increased resorption from osteoclasts. Physical activity can influence bone mass by causing compressive or bending loads on bone. Bone formation will then be the resultant response from the strain/temporary deformation which will trigger primary and secondary responses in bone. As such, being physically inactive may put one more at risk of having a low bone mineral density and consequently develope osteoporosis. However, current evidence still lacks high quality studies to confirm the inverse relationship between back pain and bone health. A 2015 study demonstrated a 'dose-response relationship' between physical inactivity, including narrow intervertebral disc height. 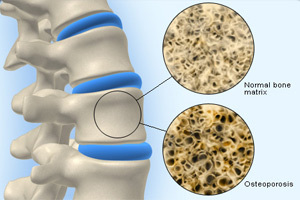 Intervertebral disc narrowing is a feature of degenerative disc disease, suggested by some to be the single most important structural risk factor for low back pain. Evidence suggests that in response to physical inactivity, skeletal muscles go through a process called adaptive reductive remodeling. This results in a loss of muscle mass (atrophy) and changes in muscle composition. Muscle atrophy is characterised by a general reduction in muscle cross-sectional fibre area as well as a reduction in the overall number of muscle fibres, leading to a decreased in muscle strength. Studies have shown that paraspinal muscles atrophy and increased in fat content are associated with low back pain from the result of physical inactivity. 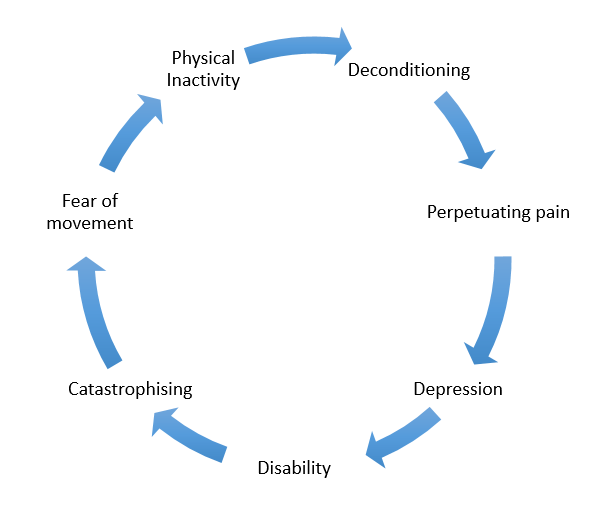 With chronic LBP patients who are deconditioned, their level of activity affects other parts of their body too. For instance, metabolic factors including carbohydrate and lipid metabolism will become less efficient and effective than healthy non-chronic LBP individuals. As a reduced physical activity level will eventually lead to weight gain and a change in body composition, people with LBP are reported to have a higher body fat percentage compared to age- and gender-matched individuals. Obesity has been shown to have the strongest association with seeking care for low back pain. 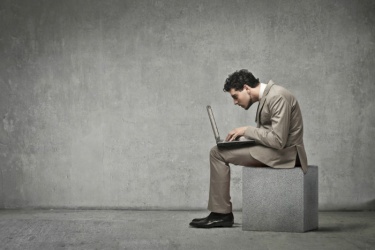 A person with a job that requires a relatively high demand of physical activity can be sedentary in his leisure time. However, although the physical activity guideline is met he/she may still be considered sedentary but physically active. On the other hand, a person with a sedentary job can be very active in his/her leisure time, and his/her physical activity may meet the guideline and he will not be classified as physically inactive. The type of occupation could affect the amount of physical activity, but it doesn’t necessarily have a direct influence on the physical activity one does during leisure time. The above figure demonstrates time trends for the prevalence of leisure time physical activity (LTPA) and work-related physical activity (WRPA). 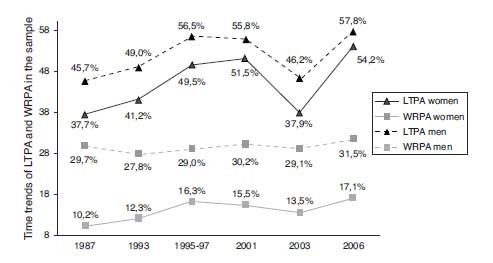 Values are from the Spanish National Health Interview Survey and are expressed as percentages. International research indicates that blue-collar employees typically exhibit lower rates of leisure-time physical activity. While “lack of time” and “work demands” are commonly reported barriers to activity, a secondary analysis of cross-sectional data from Australian Health Survey found out among the three categories of occupations (professional, white-collar, and blue-collar), individuals in blue-collar occupations were approximately 50% more likely to be classified as insufficiently active. Another systematic review found that white-collar/professionals demonstrated the highest leisure-time physical activity compared to blue-collar workers and concluded that there is convincing evidence that those employed in occupations demanding long work hours and low occupational physical activity are at risk of inactivity. From both studies, they showed that there is an association between physical inactivity and type of occupation. There are many factors that can affect a person’s physical activity. A cross-sectional study by Martins and Lopes (2013) investigated the association of rank (position of the job in an office setting), job stress, and psychological distress with physical activity in a military setting. The results showed that lower rank (‘high effort and low reward’) was associated with more occupational physical activity, more job stress, and with less physical activity in sports/physical exercise in leisure, and that psychological distress was associated with less physical activity in sports/exercise in leisure. The physical environment has a consistent association with physical activity behaviour. One review showed that accessibility, opportunities, and aesthetic attributes had significant associations with physical activity. Weather and safety showed less-strong relationships. However, it is hard to isolate one factor from others, other variables affecting physical activity behaviour, and whether the changes is caused by the factor that the researcher is interested in is unknown. A better research model and measurement strategies is needed for future research. A Dutch cross-sectional study from 2009 investigated the U-shaped relationship between physical activity and low back pain. The study concluded that both extremes of physical activity, excess activity or insufficient activity, associated with a high risk of LBP. An increased prevalence in LBP was also found in inactive participants with sedentary behavior. In addition, there is a potential gender-related risk for LBP in inactivity because the result is more significant in women compared to men. Another cross-sectional study from 2015 explored the association between physical inactivity and intervertebral disc height, spinal muscles, fat content and low back pain, and disability. Results concluded that participants with lower activity levels had higher BMI, narrower intervertebral disc height, higher fat content of multifidus, increased risk of high-intensity pain/disability ratio after adjustment for age, gender and BMI. Further details are explained in the following table. A systematic review written in 2011 reviewed 7 studies to look at if patients with chronic low back pain have an altered level and/or pattern of physical activity compared to healthy individuals. The gathered data revealed no significant difference in the overall activity level of adults (18-65 y/o) or adolescents (<18y/o) with chronic low back pain; however, there is evidence that older adults (>65 y/o) with chronic low back pain are less active than controls. They concluded that there is no conclusive evidence that patients with chronic low back pain are less active than healthy individuals and there is a lack of studies in this area. The current literature looking at physical inactivity causing LBP are mainly cross-sectional studies. However, physical activity is continuous and patterns could change. Therefore, future longitudinal studies will help to better identify this cause and effect relationship. Furthermore, pain is complex and difficult to measure due to its subjective nature and it being a multidimensional experience. There is no external reference or gold standard. Physical activity is generally measured using self-reported questionnaires, which can lead to overestimation or underestimation. People generally tend to overestimate physical activity and underestimate sedentary behavior, which reflects the reliability and validity of questionnaires. A more sensitive alternative to questionnaires would be to use objective instruments such as pedometers, acceleometers, or heart rate monitors. There is numerous up-to-date literature about whether or not physical inactivity is responsible for LBP; however, more high quality longitudinal studies are needed. IN summary, the reviewed literature is conflicting and inconclusive. Although there are only weak and conflicting results to link physical inactivity and LBP, there is strong evidence that leads to a poor general outcome. In the future, a more reliable objective measure is essential to ensure a reliable and valid outcome. ↑ 1.0 1.1 National Institute for Health and Clinical Excellence (NICE) (2009). Low back pain in adults: early management. [Online]. Available at: http://www.nice.org.uk/guidance/cg88/resources/low-back-pain-in-adults-early-management-975695607493. [Accessed: 9 January 2016]. ↑ Balagué, F., Mannion, A. F., Pellisé, F., & Cedraschi, C. (2012). 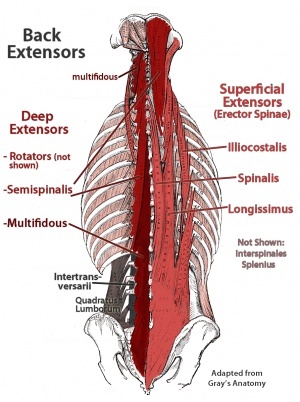 Non-specific low back pain. The Lancet, 379(9814), 482-491. ↑ Goertz, M., Thorson, D., Bonsell, J., Bonte, B., Campbell, R., Haake, B., Johnson, K., Kramer, C., Mueller, B., Peterson, S. and Setterlund, L., (2012). Adult acute and subacute low back pain. Institute for Clinical Systems Improvement. http://bit. ly. LBP1112. Updated November. ↑ Caspersen, C. J., Powell, K. E., & Christenson, G. M. (1985). Physical activity, exercise, and physical fitness: definitions and distinctions for health-related research. Public health reports, 100(2), 126. ↑ 6.0 6.1 National Institute for Health and Clinical Excellence (NICE) (2013) Physical activity: brief advice for adults in primary care. [Online]. Available at: http://www.nice.org.uk/guidance/ph44/resources/physical-activity-brief-advice-for-adults-in-primary-care-1996357939909. [Accessed: 9 January 2016]. ↑ World Health Organization. (2009). Global health risks: mortality and burden of disease attributable to selected major risks. World Health Organization. ↑ World Health Organisation (WHO) (2016) Physical inactivity: A global public health problem. [Online]. Available at: http://www.who.int/dietphysicalactivity/factsheet_inactivity/en/. [Accessed: 12 January 2016]. ↑ Biddle, S. J., Gorely, T., Marshall, S. J., Murdey, I., & Cameron, N. (2004). Physical activity and sedentary behaviours in youth: issues and controversies. The Journal of the Royal Society for the Promotion of Health, 124(1), 29-33. ↑ Pate, R. R., O'Neill, J. R., & Lobelo, F. (2008). The evolving definition of" sedentary". Exercise and sport sciences reviews, 36(4), 173-178. ↑ Airaksinen, O., Brox, J. I., Cedraschi, C. O., Hildebrandt, J., Klaber-Moffett, J., Kovacs, F., ... & Zanoli, G. (2006). Chapter 4 European guidelines for the management of chronic nonspecific low back pain. European Spine Journal, 15, s192-s300. ↑ O’Sullivan, P. (2005). Diagnosis and classification of chronic low back pain disorders: maladaptive movement and motor control impairments as underlying mechanism. Manual therapy, 10(4), 242-255. ↑ Dumith, S. C., Hallal, P. C., Reis, R. S., & Kohl, H. W. (2011). Worldwide prevalence of physical inactivity and its association with human development index in 76 countries. Preventive Medicine, 53(1), 24-28. ↑ National Institute for Health and Clinical Excellence (NICE) (2012) Physical activity: Local government briefing. [Online]. Available at:https://www.nice.org.uk/advice/lgb3/resources/physical-activity-1681146084805. [Accessed: 9 January 2016]. ↑ World Health Organisation. Physical Activity. [online]. Available at: http://www.who.int/dietphysicalactivity/pa/en/ [Accessed 9 January 2016]. ↑ 16.0 16.1 World Health Organisation. Physical Inactivity: A Global Public Health Problem. [online]. Available at:http://www.who.int/dietphysicalactivity/factsheet_inactivity/en/ [Accessed 9 January 2016]. ↑ Richardson D, Cavill N, Ells L, Roberts K. (2011) Measuring Diet and Physical Activity in Weight Management Interventions: a Briefing Paper. Oxford National Obesity Observatory,. ↑ Richardson D, Cavill N, Ells L, Roberts K. (2011) Supplement: Measuring Diet and Physical Activity in Weight Management Interventions. Oxford National Obesity Observatory. ↑ Gibson RS. (2005) Principles of nutritional assessment. 2nd ed. New York: Oxford University Press. ↑ Hillsdon M (2009) Tools to measure physical activity in local weight management interventions: a rapid review. Oxford: National Obesity Observatory. ↑ Biddle SJH, Gorely T, Pearson N, Bull FC (2011) An assessment of self-reported physical activity instruments in young people for population surveillance: Project ALPHA. International Journal of Behavioral Nutrition and Physical Activity 2011, 8:1. ↑ Prince SA, Adamo KB, Hamel ME, Hardt J, Gorber SC, Tremblay M (2008) A comparison of direct versus self-report measures for assessing physical activity in adults: a systematic review. Int J Behav Nutr Phys Act. Nov 6;5:56. ↑ Dugdill L, Stratton G (2007) Evaluating Sport and Physical Activity Interventions. Salford: University of Salford/Sport England. ↑ Cavill N, Roberts K, Rutter H. (2012) Standard Evaluation Framework for Physical Activity Interventions. London: National Obesity Observatory. ↑ Falck, R. S., McDonald, S. M., Beets, M. W., Brazendale, K., & Liu-Ambrose, T. (2015). Measurement of physical activity in older adult interventions: a systematic review. British journal of sports medicine, bjsports-2014. ↑ Bousema, E. J., Verbunt, J. A., Seelen, H. A., Vlaeyen, J. W., & Knottnerus, J. A. (2007). Disuse and physical deconditioning in the first year after the onset of back pain. Pain, 130(3), 279-286. ↑ Wolff, J. (2012). The law of bone remodeling. Springer Science & Business Media. ↑ 34.0 34.1 34.2 Verbunt, J. A., Smeets, R. J., & Wittink, H. M. (2010). Cause or effect? Deconditioning and chronic low back pain. Pain, 149(3), 428-430. ↑ Briggs, A.M., Straker, L.M. and Wark, J.D., 2009. Bone health and back pain: What do we know and where should we go?. Osteoporosis International, 20(2), pp.209-219. ↑ Smith, E.L. and Gilligan, C., 1996. Dose-response relationship between physical loading and mechanical competence of bone. Bone, 18(1), pp.S45-S50. ↑ 37.0 37.1 37.2 Teichtahl, A. J., Urquhart, D. M., Wang, Y., Wluka, A. E., O’Sullivan, R., Jones, G., & Cicuttini, F. M. (2015). Physical inactivity is associated with narrower lumbar intervertebral discs, high fat content of paraspinal muscles and low back pain and disability. Arthritis research & therapy, 17(1), 114. ↑ Hasenbring, M.I., Rusu, A.C. and Turk, D.C., 2012. From acute to chronic back pain: risk factors, mechanisms, and clinical implications. Oxford University Press. ↑ Demoulin, C., Crielaard, J.M. and Vanderthommen, M., 2007. 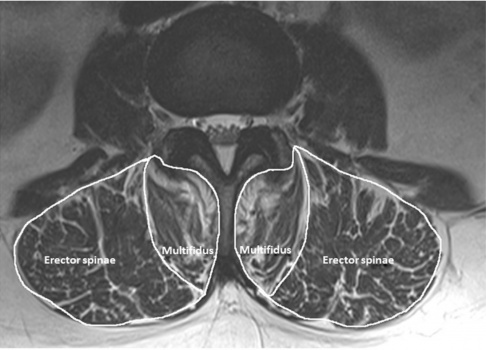 Spinal muscle evaluation in healthy individuals and low-back-pain patients: a literature review. Joint Bone Spine, 74(1), pp.9-13. ↑ Verbunt, J.A., Seelen, H.A., Vlaeyen, J.W., Bousema, E.J., van der Heijden, G.J., Heuts, P.H. and Knottnerus, J.A., 2005. Pain-related factors contributing to muscle inhibition in patients with chronic low back pain: an experimental investigation based on superimposed electrical stimulation. The Clinical journal of pain, 21(3), pp.232-240. ↑ Shiri, R., Karppinen, J., Leino-Arjas, P., Solovieva, S., & Viikari-Juntura, E. (2010). The association between obesity and low back pain: a meta-analysis.American Journal of Epidemiology, 171(2), 135-154. ↑ Burton, N. W., & Turrell, G. (2000). Occupation, hours worked, and leisure-time physical activity. ↑ Kirk, M. A., & Rhodes, R. E. (2011). Occupation correlates of adults' participation in leisure-time physical activity: a systematic review. American journal of preventive medicine, 40(4), 476-485. ↑ Humpel, N., Owen, N., & Leslie, E. (2002). Environmental factors associated with adults’ participation in physical activity: a review. American journal of preventive medicine, 22(3), 188-199. ↑ Heneweer, H., Vanhees, L., & Picavet, H. S. J. (2009). Physical activity and low back pain: a U-shaped relation?. Pain, 143(1), 21-25. ↑ Griffin, D.W., Harmon, D.C. and Kennedy, N.M., 2012. Do patients with chronic low back pain have an altered level and/or pattern of physical activity compared to healthy individuals? A systematic review of the literature.Physiotherapy, 98(1), pp.13-23. ↑ Sitthipornvorakul, E., Janwantanakul, P., Purepong, N., Pensri, P. and van der Beek, A.J., 2011. 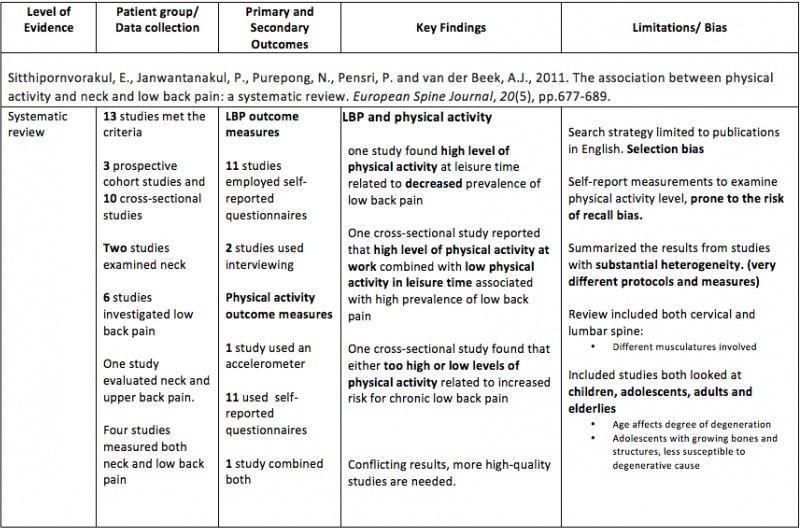 The association between physical activity and neck and low back pain: a systematic review. European Spine Journal, 20(5), pp.677-689. ↑ Schmidt, K. R. T., & Teti, D. M. (2005). Issues in the use of longitudinal and cross-sectional designs. Handbook of research methods in developmental science, 3-20. ↑ Mannion, A.F., Balagué, F., Pellisé, F. and Cedraschi, C., (2007). Pain measurement in patients with low back pain. Nature Clinical Practice Rheumatology, 3(11), pp.610-618. ↑ Shephard, R. J. (2003). Limits to the measurement of habitual physical activity by questionnaires. British journal of sports medicine, 37(3), 197-206.